“Whatever a Verse (revelation) do We abrogate or cause to be forgotten, We bring a better one or similar to it. Know you not that Allah is able to do all things?” (Surah 2:106). Mohammed’s life and ministry was divided into two parts: the tolerant years in Mecca and the aggressive years in Medina, and earlier commandments are superseded by later ones. In Mecca, Mohammed used teaching in an attempt to convert the people. During that period, he wrote prophecies along the lines of being at peace with non-Muslims and not forcing your religion upon others. “We know of best what they say; and you (O Muhammad) ARE NOT A TYRANT OVER THEM. But warn by the Qur’an, him who fears My Threat” (Surah 50:45). “THERE IS NO COMPULSION IN RELIGION. Verily, the Right Path has become distinct from the wrong path. Whoever disbelieves in Taghut and believes in Allah, then he has grasped the most trustworthy handhold that will never break. And Allah is All-Hearer, All-Knower” (Surah 2:256). When his peace plan failed, Muhammad picked up the sword, and for the rest of his life he used the sword to force adherence to Islam. Many of the prophecies Mohammed gave during this latter period contradict the earlier prophecies and demand war against unbelievers. “And FIGHT THEM UNTIL THERE IS NO MORE FITNAH [worshipping others besides Allah] and the religion will all be for Allah Alone” (Surah 8:39). “When the sacred months are passed, kill the unbelievers wherever you find them. Take them as captives, besiege them, and lie in wait for them with every kind of ambush. If they submit to Islam, observe prayer, and pay the poor tax, then let them go their way (Surah 9:5). “FIGHT AGAINST THOSE WHO BELIEVE NOT IN ALLAH, nor in the Last Day, nor forbid that which has been forbidden by Allah and His Messenger and those who acknowledge not the religion of truth among the people of the Scripture [Jews and Christians], UNTIL THEY PAY THE JIZYA WITH WILLING SUBMISSION, AND FEEL THEMSELVES SUBDUED” (Surah 9:29). Those who quote from Surah 2:256 and similar ones from Mohammed’s early life ignore the fact that these were written before he changed his policy. “The practice of this principle is that when there is a contradiction between two verses in the Quran, the newer revelation overrides the previous revelation. Then the new cancels the old. You can still read the words, ‘There is no compulsion in religion’ in the Quran, but they no longer have authority because Surah 2:193 says, ‘And fight with them until there is no persecution, and religion should be only for Allah, but if they desist, then there should be no hostility except against oppressors.’ So the ‘no compulsion in religion’ verse has been mansookh (canceled) by revelations that came later. “Professor Gabriel helps us understand how Muslims interpret the Quran in this way: ‘This principle of abrogation is known in Arabic as nasikh. It means that Allah led Muhammad in a progressive revelation. Many copies of the Quran have a table that shows whether a surah is from Mecca or Medina in order to help readers know which is a newer revelation’” (Gerganus, Peril of Islam, p. 69). “The Quran’s commandments to Muslims to wage war in the name of Allah against non-Muslims are unmistakable. They are, furthermore, absolutely authoritative as they were revealed late in the Prophet’s career and so cancel and replace earlier instructions to act peaceably. 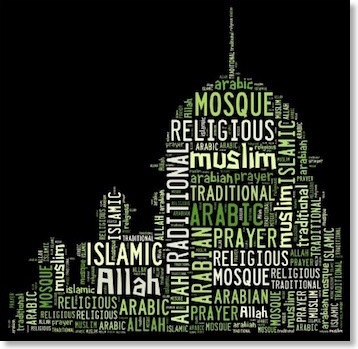 Without knowledge of the principle of abrogation, Westerners will continue to misread the Quran and misdiagnose Islam as a ‘religion of peace’” (“Islam 101,” JihadWatch.org).